We have relocated 7 times all over the country so I know what it is like to feel lonely and isolated and it is my hope that Kalispell Moms for Moms will help ease the isolation that comes from the transition to parenthood, staying at home, moving, etc. especially to a remote mountain town that has winter 9 months a year. I hope to help other moms find friends, company, community, information, education and, most of all, JOY in being a mom. I am the owner of Maternal Instincts, a parenting company that teaches parenting classes and does one on one coaching with clients. As the family life columnist for the Benicia (CA) Herald I wrote a column called Reality Check and I am the current family life columnist for 406 Woman magazine. I am the lucky mom of 10 kids ranging in age from 2 to 20 years old. My work allows me to speak to various moms groups, parent classes and adoption classes on parenting and family. It is always my goal to be an inspiration and encourager of other moms who may be just starting this journey or who may feel isolated or alone in the community. 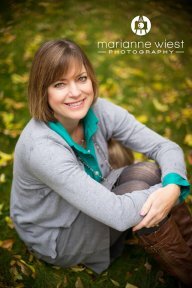 Moms for Moms Communities thanks Gretchen for her dedication and devotion to launching Kalispell Moms for Moms, she started the incredible gift of connection, information, support and inspiration for the mothering community of Kalispell, Montana.